I haven't done a beauty review in a while, so I thought I would share these gorgeous little lip care beauties that I purchased from Boot's with you. As soon as the weather changes, I always see the effects on my lips and they were feeling a little dry and tight over the last few weeks. I normally always have a Carmex or Elizabeth Arden Eight Hour Lip Balm in my make-up bag in case of emergencies but had run out....so whilst perusing the shelves in Boot's I came across these Lip Butter's from Nivea (above). Just like the cute Vaseline Lip Therapy tins, these are roughly the same size, but more of a flatter shape and matte feel than the rounded, shiny tins from Vaseline. As soon as you remove the lid from the Raspberry Rose you are hit with the gorgeous sweet raspberry scent....it smells like sweets! It has a pretty, pastel bubblegum pink colour and the texture is velvety smooth. 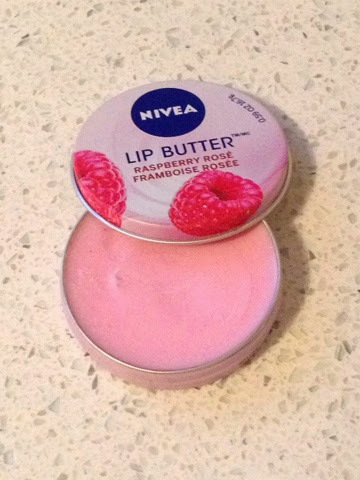 It is quite a thick creamy consistency and makes my lips feel plumper and smooth. It is a great base for lipstick I've found. 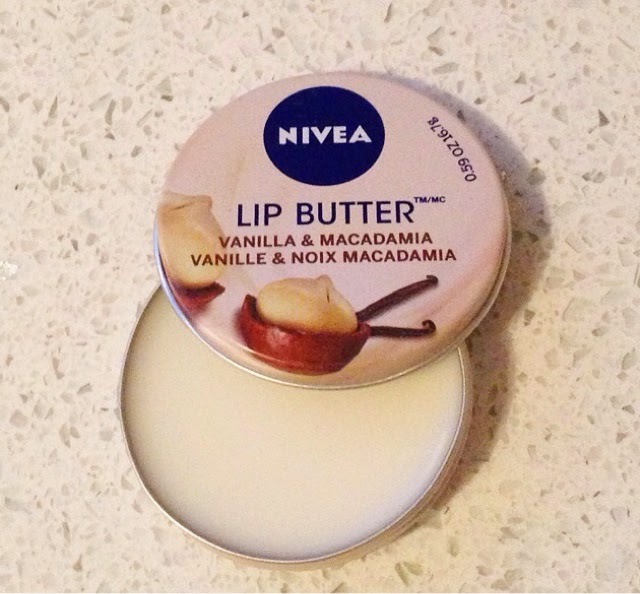 The Vanilla & Macadamia smells good enough to eat too! It actually has a cocoa butter smell, with a subtle hint of vanilla. The consistency of this one is not as creamy as the one above, however it is still more of a butter than a Petroleum Jelly texture. 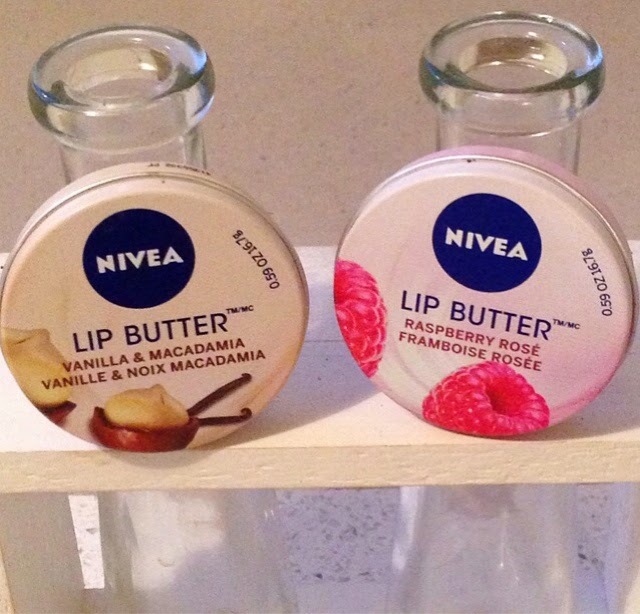 These Nivea Lip Butters are a winner for me as they are so nourishing and moisturising. I have never been a fan of the Vaseline Lip Therapy range as I have found that they are not long lasting, they are too greasy and also I think they become addictive to apply....how many people do you see with their tins of Vaseline glued to their hands, constantly re-applying because the staying power is non-existent?! 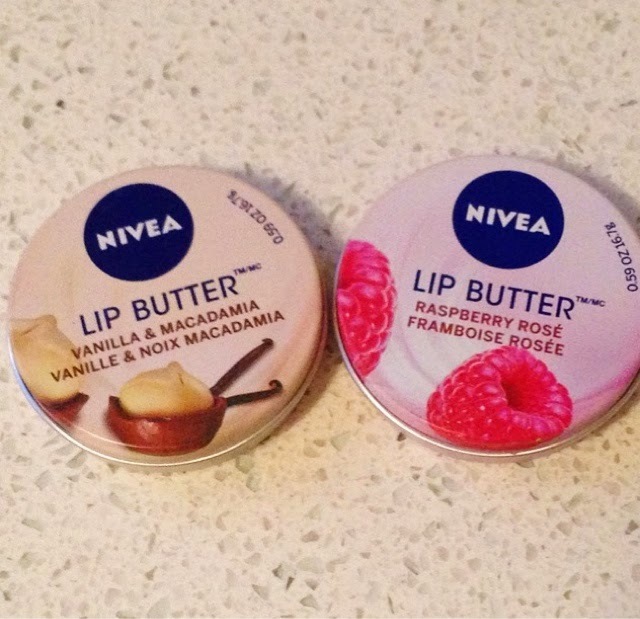 As I normally wear lipstick or lip-gloss during the day, these Lip Butters are perfect in the evening for when I have removed my make-up but still want to have gorgeous soft lips. I find that one application is enough for a couple of hours (I actually haven't timed it but it feels that long....or longer!) and I normally just re-apply before bed. At approximately £2.10 per tin, these are a good little beauty bargain.